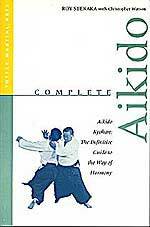 A true classic -- considered by many to be the best introduction to aikido ever written. 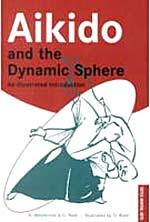 While the authors delve into all aspects of aikido, including its philosophy and theory of movement, this text is truly distinguished by Ratti’s 1000 + illustrations. Captured in simple lines is the essence of technique. Its dynamic movement is traced by Ratti’s circular lines of action. These illustrations both simplify understanding and show the flow of technique far better than can be achieved by any series of photo clips or by written description. 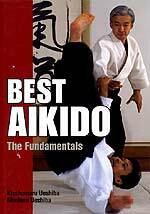 If you get just one book on aikido, many consider this your best choice. techniques learned from the founder of aikido, Moriteru Ueshiba, when his techniques were at their peak. This aikido used atemi (strikes) combined with straight forward technique --- a combat orientated, no-nonsense style of aikido that has been adopted by many Japanese police forces, including those of Tokyo. In this book Shioda illustrates how to cope with a variety of front and rear attacks, how to sense an attacker’s intentions and turn his movements to your advantage. The text brings together theoretical and applied aikido – an aikido within which viewers can glimpse technique adopted from the ancient samurai jujutsu art that inspired Ueshiba, Diato-ryu aikijutsu. 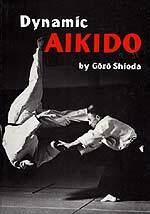 This book will expand any aikido or jujutsu practitioner’s technique, and if you are a karate-ka you will see glimpses of kata applications within Shioda’s movements. This is two books in one. The first half presents a comprehensive collection of Ueshiba’s writings that details many concepts of aikido including inner aims and methods and reveals the heart of the art itself – the link between its spiritual and physical aspects. Key concepts, such as kototama (language of the spirit) and misogi (purification of body and mind), are discussed in length and illustrated with Ueshiba’s mystical diagrams, calligraphy and spiritual poems. The second half of the book focuses on Ueshiba’s technique. There are more than 200 never -before published photos of the master – from his earliest days as a teacher of the martial arts to his last years as master of aikido – illustrating seated and standing technique, empty hand self-defense and defense against the sword. 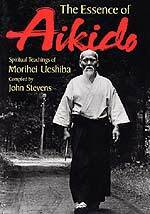 This is a complete introduction to the basic fundamentals of aikido, coauthored by two direct successors of the founder of this art, Morihei Ueshiba. Kisshomaru Ueshiba and Moriteru Ueshiba, son and grandson of the founder share with you what they consider to be the most important techniques and principles of their art. This book is the quintessential training aid for all aikido practitioners, as well as a masterful introduction for those who want to learn about the art. Step-by-step instructions explaining various techniques are provided. Also included is a wealth of never-before seen photographs of the art’s founder demonstrating various techniques .